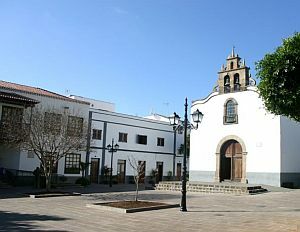 As municipalities of Tenerife go, Arona is quite an important one when it comes to tourism. 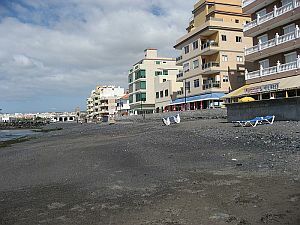 It contains Las Americas, Los Cristianos, Las Galletas and Costa del Silencio, all very prominent holiday destinations. This section, however, is called "Tenerife towns and cities", so we're considering the actual town. 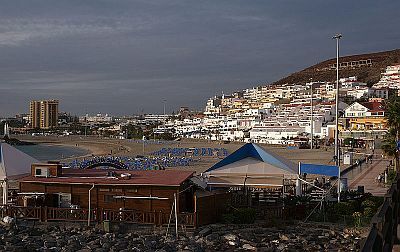 If you ever take the trouble to drive up the hill out of Los Cristianos or Las Americas to get to it, you might be surprised to find that the centre of all this region is a tiny, sleepy, typical Canarian village. For those of you who have emigrated to Tenerife to live in the municipality and wanted to begin working there legally, you'll, no doubt, have had to make your way to its Town Hall at least once, to do your paperwork. The town is not a holiday destination. It has no nightlife or attractions. There are a few bars, just as there are in any Tenerife town or village. The place is mainly residential. 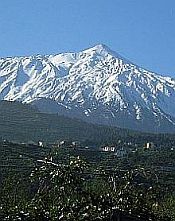 Its chief claim to fame is being the administrative centre of a very lucrative chunk of Tenerife real estate. It's still worth a brief visit if just to wander around the cobbled streets, stopping for a coffee...and so you can say you've been there!